George Zytaruk was the first President of Nipissing College, a Professor of English Literature, and a renowned D. H. Lawrence scholar. He was born on May 6, 1927 in rural Alberta. He attended the University of Alberta, receiving a Bachelor of Education degree in 1949, followed by Bachelor of Arts (Honours) and Master of Arts degrees in English. He worked as a teacher and principal in Edmonton and other Alberta communities until 1962, when he commenced his doctorate at the University of Washington in Seattle. After graduating in 1965, Zytaruk returned to the University of Alberta and taught in the English department. In 1967, he relocated with his family to North Bay, Ontario after being appointed Principal (later renamed President) of the newly-established Nipissing College. As President of Nipissing College from 1967 to 1983, he was instrumental in the college's early development and played a central role in key events including the college's affiliation agreement with Laurentian University (1967), the construction of the College Education Centre (opened 1973), and the establishment of a Faculty of Education following the merger of North Bay Teachers’ College with Nipissing College (1973). Zytaruk continued researching, writing, and teaching as a professor of English language and literature at Nipissing College both during and after his presidential term. His primary academic interest was the English writer D. H. Lawrence, while other interests included Shakespeare and Renaissance literature. Zytaruk retired in 1992, but remained active in the affairs of Nipissing University, which recognized his contributions by awarding him an Honourary Doctorate of Letters (1992), and naming him its first Professor Emeritus (1997) and President Emeritus (2011). George Zytaruk died in North Bay on April 12, 2013. Records were in the Zytaruk's custody until his death in 2013, when they passed into the custody of his wife JoAnn Zytaruk. Fonds reflects Zytaruk's career as the Principal/President of Nipissing College and as a Professor of English Literature. 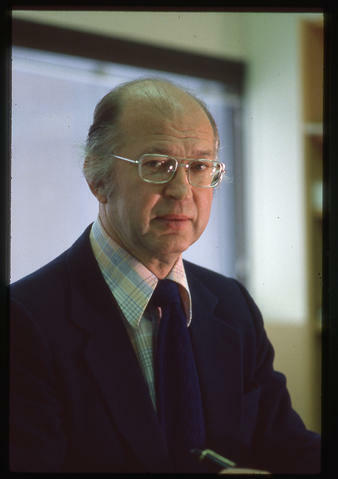 Records span his entire academic career from the mid 1960s to the 1990s, and are arranged into six series. Records include: minutes, agendas, and reports of the academic senates of Nipissing College and Laurentian University; minutes, correspondence, and reports of the Board of Governors of Nipissing College; correspondence and programs relating to events and conferences which Zytaruk organized or attended; academic journals containing articles he authored; speeches he gave as Principal/President; and correspondence, budgets, minutes, and reports related to college/university administration. Donated to the archives by JoAnn Zytaruk in 2014. Some files are restricted; please see lower levels of description for details. The photograph at the top of this description is a portrait of George Zytaruk, ca. 1977. The photograph is item #OIMC-004-016-019 in the Office of Marketing and Communications (Nipissing University) fonds.